This is a set of two Losi "Rock Claws" 2.2 Crawler tires with foams in Blue compound. 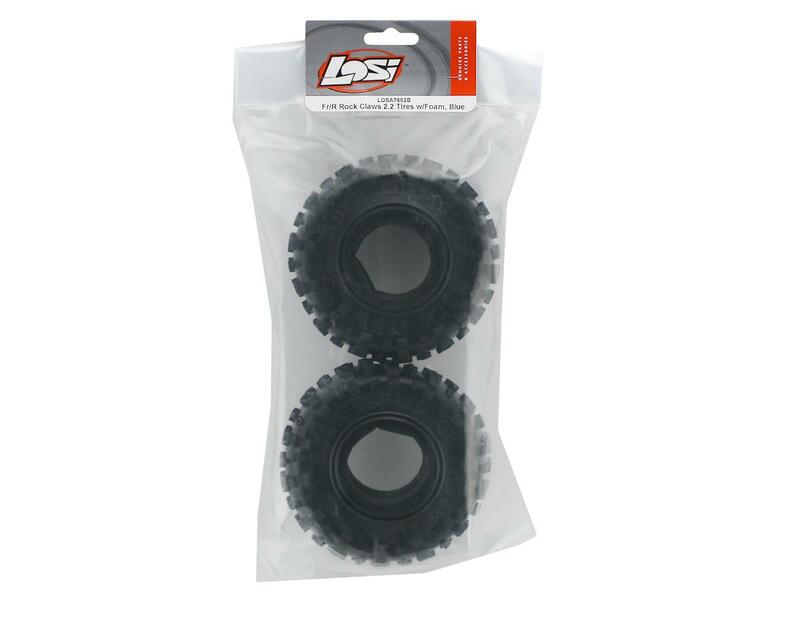 Losi helps truck and rock crawling enthusiasts get a grip on the roughest terrain with their new “Rock Claw” tires. The Rock Claw is a 2.2 1/10th Scale crawler that has been developed to deliver the combination of multi-edge tread design, high-grip soft compound, and a rock conforming carcass needed to out-perform the current crop of popular designs. 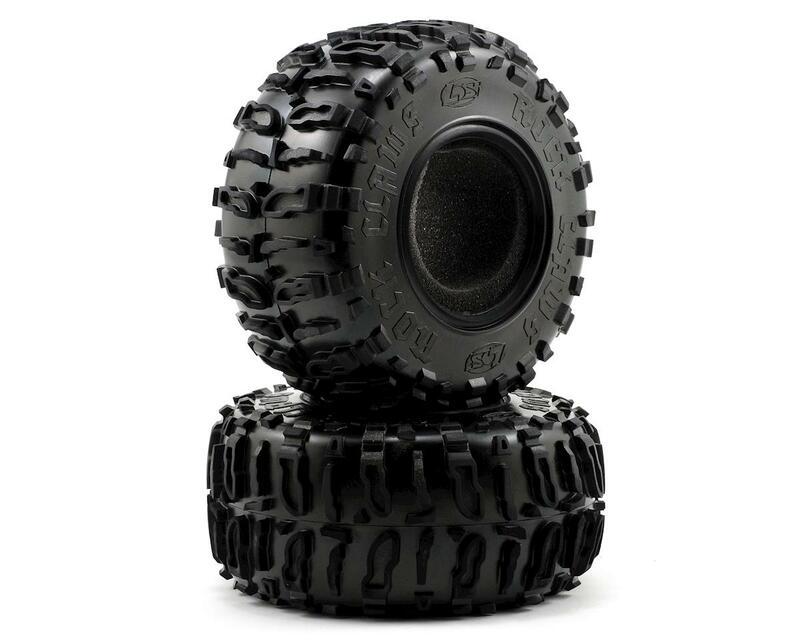 These purpose built tires are 5” tall and 2.2” wide making them the biggest tire Losi has ever made for 1/10th scale trucks. The new tire size allows for ½” of additional clearance over our standard 2.2” truck tires. The unique design was inspired by the Aftershock Monster truck tire with key design features incorporated in the tread and carcass to allow you to aggressively attack uneven and rocky terrain. The creative multi-edged tread design enhances traction by simultaneously gripping in multiple planes on uneven surfaces much like that of fingers gripping a rock. The large lug design also helps in cleaning itself from mud and dirt giving enhanced traction in these types of conditions. The “Rock Claw” comes in Losi’s sticky “B” (Blue) compound and will fit any common 2.2” rim making it useful for both stadium type trucks and highly modified rock crawlers.